SALEM–William was born on Oct. 19, 1926 in Salem, a son of Russell and Lucille (Mullett) Hannay, and had lived here all of his life. William graduated from Salem High School in 1944 and attended the University of Dayton under the Army Specialized Training Program for aviation cadets. He attended Youngstown State University for industrial purchasing and accounting, and was a graduate of International Business Machines Corporation School of Customer Engineering. He attended management conferences and training seminars sponsored by the American Hospital Supply, the Ohio Hospital Association, National Association of Purchasing Management, Hospital Logistics Management and was a member of the National Association of Purchasing Management for over 25 years. He was also a member of National Association Photoshop Professionals. 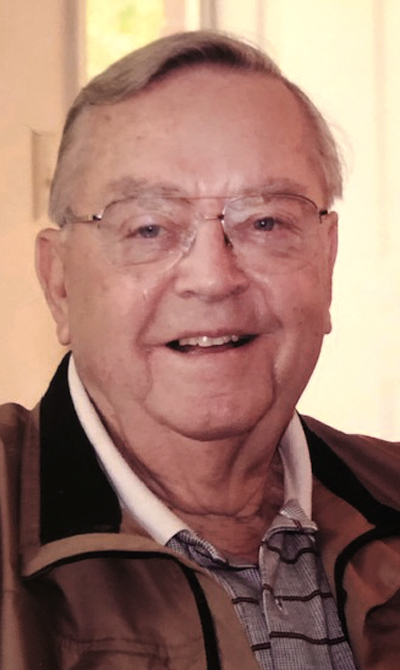 William was a life member of the Salem Elks and a member of Salem AMVETS, the Salem Historical Society, the First Presbyterian Church, and a former member of the Salem Golf Club. He was a veteran of World War II and the Korean War serving in the Air Force and Air Force Reserve. William ran a photographic studio for five years and was a department head of Salem Engineering Company. After service, he was employed by International Business Machines and later the Director of Purchasing at Salem Community Hospital for 31 years. After retiring, he again entered the business world as an employee of Loudon Ford of Salem for 12 years and re-established his photography business until 2010. He was an avid bowler and golfer, and photography has been his hobby since then. Besides his parents, William was preceded in death by his first wife, Clara May Housteau Hannay, in 1997. Survivors include his wife, Jean Heltzel Hannay, whom he married Oct. 23, 1998 in Wytheville Va.; a son, Mark Hannay; a daughter-in-law, Jackie (Pence) Hannay; a sister, Joan Lora; a niece, Susan Lora; stepchildren, Shelley (Steve) Allen and Pam (Tom) Butler; two grandchildren, Patrick Hannay and Elizabeth (Joe) Habarka; stepgrandchildren, Christi (Mathew) Arnoto, Kelly Paxson, Richard (Michelle) Paxson, Joni Allen, Ross Butler, Chloe (Jared) Weight and Grant Butler; and a grandchild, Natalie Allen, who also preceded William in death. He is also survived by seven stepgreat-grandchildren. A Memorial Service will be held at at 11 a.m. Saturday, Jan. 19, 2019 at The First Presbyterian Church of Salem with Dr. Meta Cramer officiating. There will be no calling hours. Interment will be at Hope Cemetery in Salem, Ohio. In lieu of flowers, memorial contributions may be made to the Salem Alumni Association and Angels for Animals.